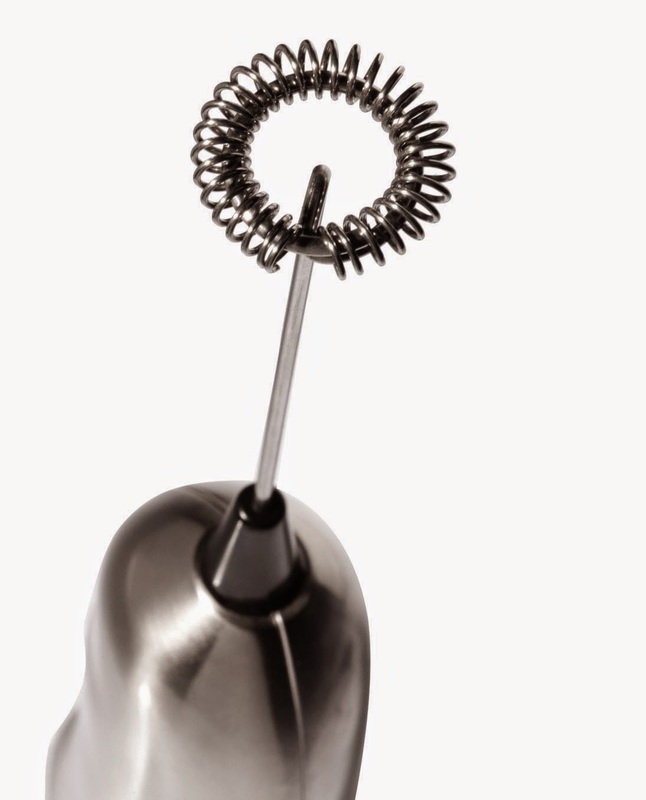 Ozeri Deluxe Stainless Steel Milk Frother in action! The Ozeri Stainless Steel Milk Frother, Whisk and Frothing Pitcher Set provides everything needed to whip up and serve delicious and picture perfect frothy foam in as little as 10 seconds. Petite yet powerful, the Ozeri Milk Frother is perfect for steam-free cappuccinos, lattes, espressos, hot chocolates, shakes, frappes and other milky drinks. 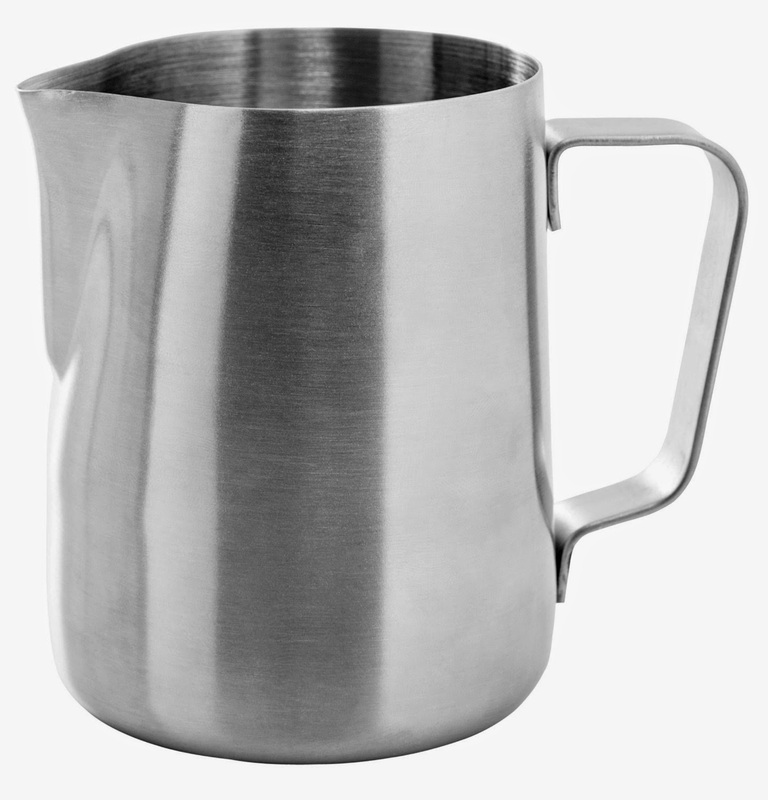 The Ozeri Frothing Set includes an elegant 12 oz (350 ml) Frothing Pitcher made of 304 high-quality Stainless Steel that features a forged pouring spout and sturdy handle. The powerful motor in the Ozeri Milk Frother spins at over 15,000 RPMs and activates instantly with results in 10 to 20 seconds. 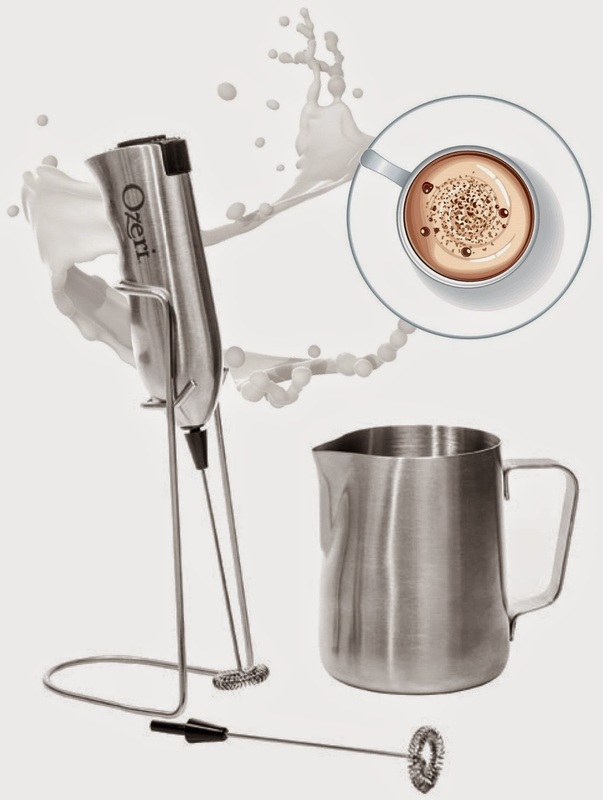 The Ozeri Milk Frother foams all kinds of milk (whole/regular/skim milk, soy milk, almond milk and coconut milk) alike for fluffy hot cafe lattes or cold chocolate malts in seconds. 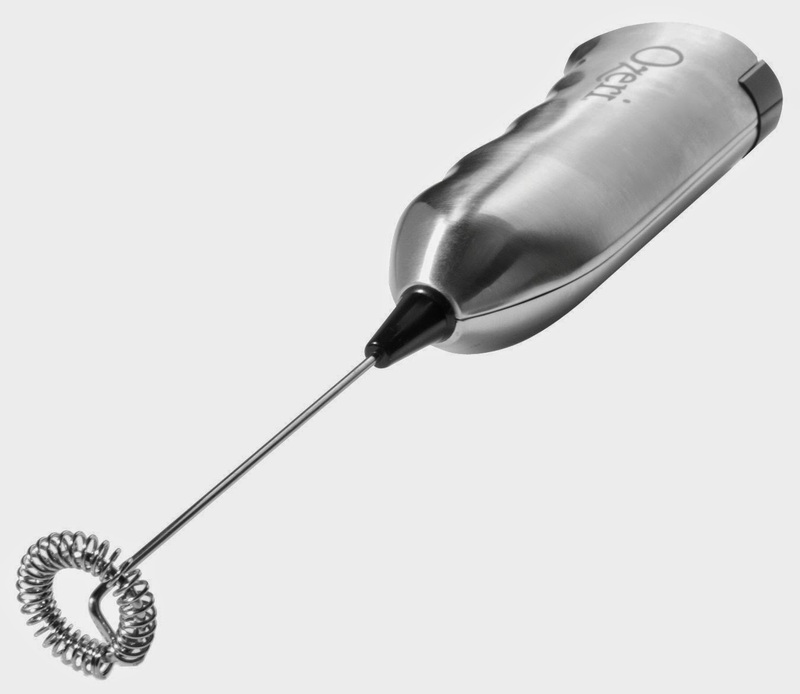 The Ozeri Stainless Steel Milk Frothing Set is made of food and drink-safe materials, and ships with the electric frother, stand, extra frothing attachment, pitcher and 2 AA batteries. Your satisfaction is guaranteed. Caramel Lattes, Strawberry Milk and Home made Hot Cocoa all frothed up nicely in seconds! Both hot and cold milk frothed quickly and stayed that way! Eggs frothed up to make fluffy scrambled eggs in seconds! I am so happy I got to try out this Ozeri Deluxe Stainless Steel Milk Frother that came with a 12 ounce Frothing Pitcher, an Extra Whisk Attachment and 2 batteries. I was impressed as soon as I opened the box, it was much smaller than I thought it would be, which is very nice, it fits nicely in your hand and is not bulky or too heavy. It is very easy to control the off/on button on top of the handle. It fits nicely in the stainless steel rack and does not take up much counter space at all, which is important in my tiny kitchen. It matches my appliances very well and looks pretty cool sitting there on my counter, it is quite the conversation piece. Which gives me opportunities to make lattes or hot cocoa whenever anyone asks about it! Our girls have asked for frothy milk more than I can say and I am happy to give it to them, it only takes seconds, cleans up quickly and gets them to drink more milk. I wanted to try the frother with fresh chicken eggs so I whipped them up real quick and they indeed make my scrambled eggs more fluffy than normal. I can see using this in my sauces, soups, cocktails and gravy as well. 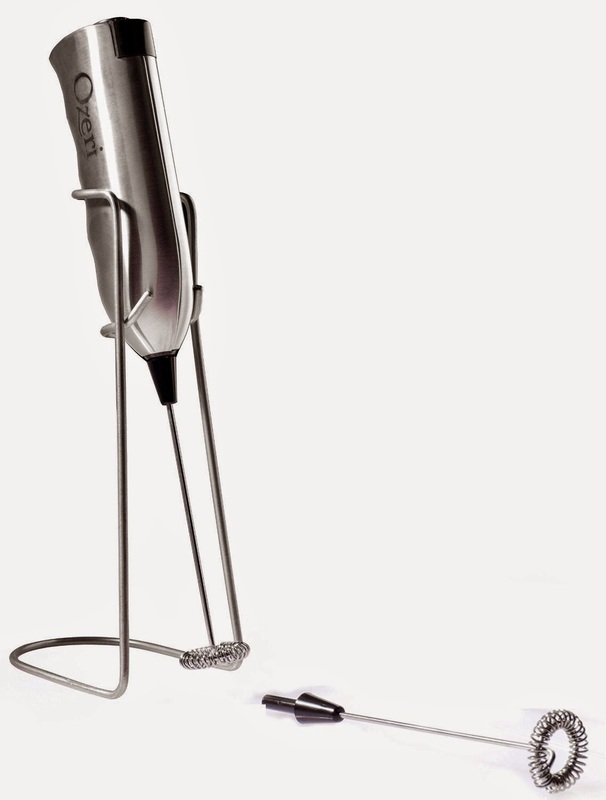 This frother works so much better than I expected, the motor is powerful but quiet, no cords attached so you can move around the kitchen to froth and it has frothed everything I have tried so far. 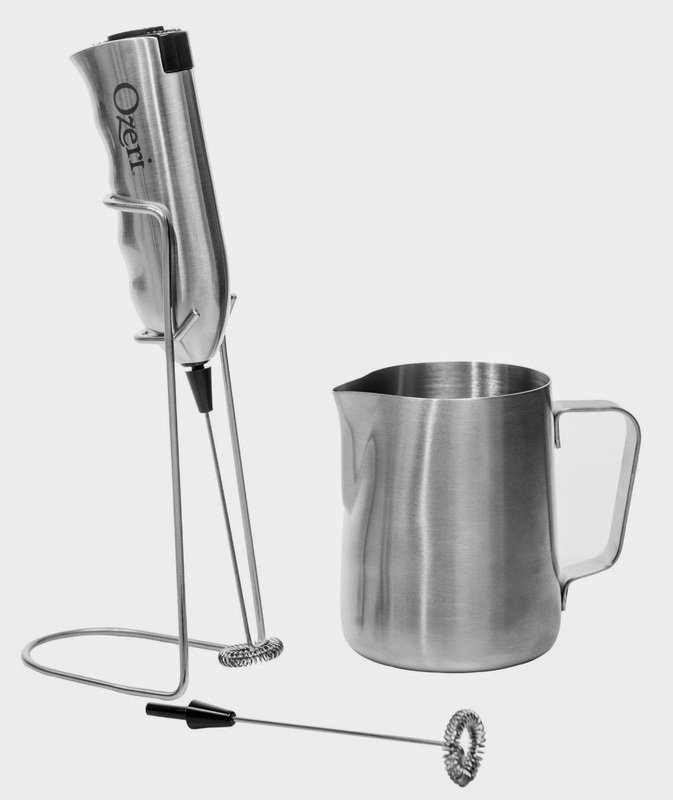 I recommend the Ozeri Deluxe Stainless Steel Milk Frother!